It seems that you can’t walk anywhere these days without some twonk in a VR getup running into you and gouging your eye out with a PS Move controller by accident, but I digress. The Oculus Rift has been hogging all the headlines as of late, but there’s a new challenger on the virtually real field. Project Morpheus is its name, and it’s a fancy piece of tech. Sony had a remarkeably effective demo upstairs. It was a round of street luge, a game where youths grab a plank that has wheels attached to it and see who can get down a hill fastest before becoming an all you can donate organ buffet. To steer my way down the hill, all I had to do was tilt my head to one side or the other. Pure simple controls. And Project Morpheus is certainly comfortable. It weighs less than a cheap motorcycle helmet, can be adjusted for any size cranium and yes, you will look goofy while wearing it, judging by the amount of giggles around me when I tested it out. While the visual clarity inside Project Morpheus can be hazy at times, it is massively responsive. If there is a lag between movement and your head being translated onto several screens, it’s barely there. Visuals are slightly fuzzy, with that screen door effect at this point, but the sheer graphics look pretty decent, rocking PS3 levels of quality, only in high resolution stereoscopic 3D. 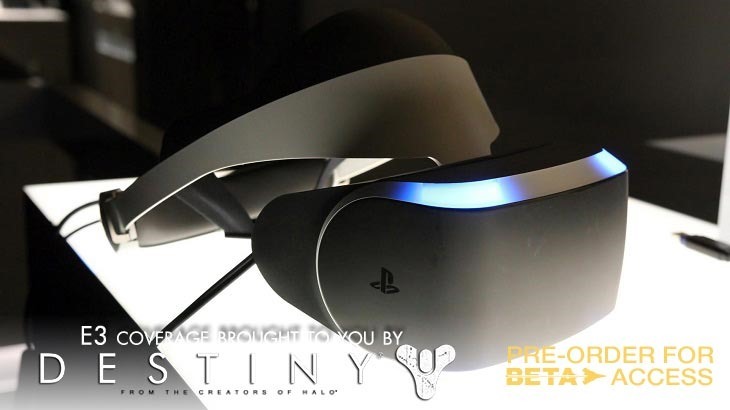 Project Morpheus could be a serious contender to the Oculus Rift, once it irons out that resolution image situation. It’s quick and easy to set up, responsive and out of all the VR kits hitting the market in the next couple of years, it looks stylish. If Sony can leverage some quality games for the device, it could be a winner. Previous article FFD: Anything from E3 knock your socks off?